Jakarta bewitches and bedazzles with its chaotic juxtapositions. Glinting skyscrapers, artisanal coffee bars, polished designer boutiques and swish jazz joints give way to gritty streets that jostle with rickety Bajajs, street markets and racy underground clubs. With over 10 million inhabitants, it is the capital of Indonesia. Attractions include Jin De Yuan, Merdeka Square and the National Museum. 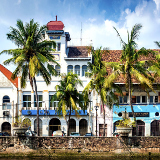 With cheap flights to Jakarta you can rouse the intrepid traveller within and explore one of the most interesting and underrated cities in the world. 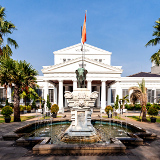 Jakarta is home to Soekarno-Hatta International Airport (CGK), which is a 45-minute drive from the metropolis. 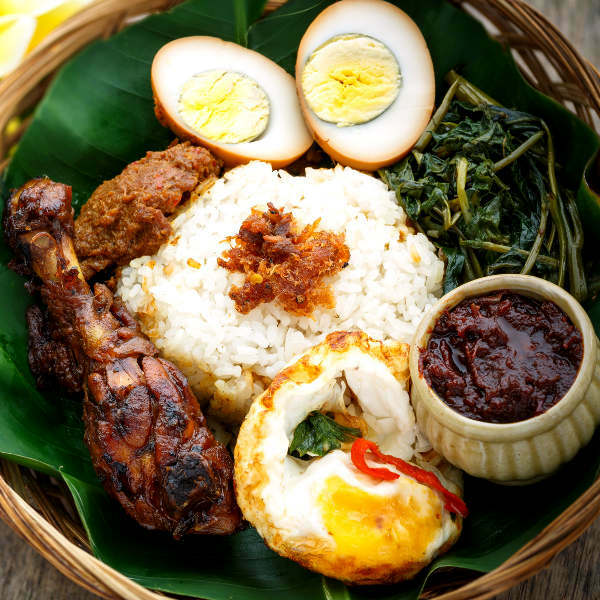 Famed for its tantalising flavours and exotic ingredients, Indonesia is home to some of the most vibrant cuisine in the world. Titillate your taste buds with traditional dishes such as bebek goreng, siomay and bakpao. When nightfall descends the neon streets of Jakarta burst open with decadent nightlife. 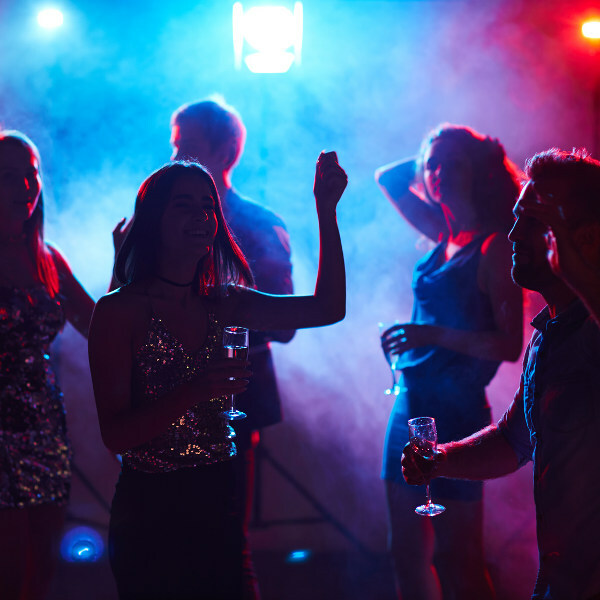 Live music bars, trendy cocktail lounges, pulsating techno nightclubs, alternative karaoke joints and racy massage parlours abound. 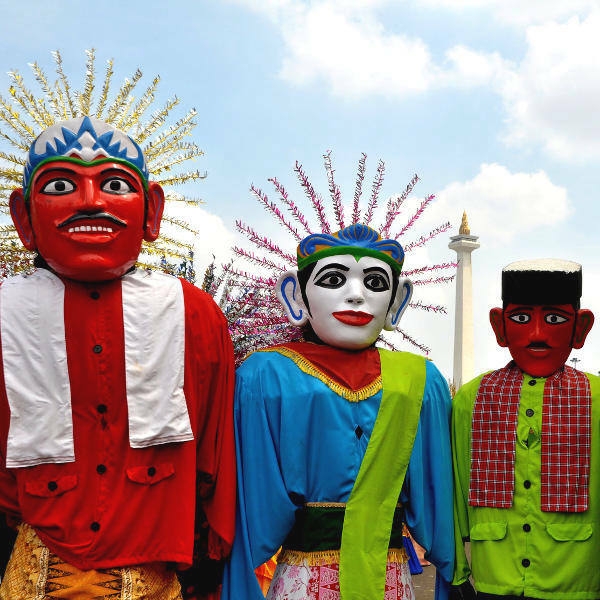 Jakarta is a gargantuan sprawl of colourful cultures and unique traditions. Witness Betawi folk performances featuring large puppets or try kopi luwak, coffee brewed from beans ingested by palm civets. Jakarta experiences a tropical climate. The climate is characterised by two distinct seasons: wet and dry. Temperatures remain fairly consistent throughout the year, with average highs of 31 degrees Celsius and average lows of 24 degrees Celsius. The wet season (October to May) is considered ‘low season’. Erratic downpours offer a pleasant respite from the gritty heat and humidity. Monsoon season spans November to March. The dry season (June to September) is ‘peak season’. Although tropical showers are a regular affair, the days are usually clear and temperatures sublime. The city becomes crowded during these months. Wide avenues lined with gleaming steel and glass skyscrapers fuse with shabby streets that jostle with rattling Becaks and street markets bursting at the seams with bird cages, traditional handicrafts and mouth-watering Indonesian delicacies. A trip to Jakarta gives you a chance to experience the curiously alluring contrasts of this megapolis. Jakarta manages to maintain its polished and sophisticated façade with offerings of upscale wine bars, award-winning restaurants and gleaming high rises. But the true heart and soul of this capital city can be found hidden down steaming side streets and blazing amongst wild mangrove jungles. Visit a kampong, a shabby urban village, for an illuminating glimpse into the lives of locals. Experience the shopping culture at Tanah Abang Market. Get a taste of history at the National Museum. Wander the streets of Old Town for an architectural treat. Or explore the swampy landscapes of Muara Angke Wildlife Sanctuary. Compare several airlines and book your cheap flights to Jakarta online at Travelstart! Although Jakarta has been the subject of considerable sensationalism, it is a fascinating and wonderful place with sincere and friendly locals. However, as it is with large metropolises around the world, there are certain risks. Certain precautions can be followed to ensure you make the most of this unique city. Be wary of pick-pocketing and bag snatching, and avoid flashy displays of wealth and carrying around valuable items. Areas associated with crime should be avoided and vigilance should be maintained in clubs, bars and crowded areas. Only make use of reputable taxi services and agree on a fare beforehand. Natural disasters such as earthquakes are common throughout the country. Follow news and emergency channels for updates and emergency protocols. Tap water in Jakarta should be filtered or boiled first, or bottled water should be used. Vaccinations for MMR, diphtheria-tetanus-pertussis vaccine, varicella (chickenpox), polio and flu should be up to date. Vaccinations for hepatitis A and B, typhoid, malaria, rabies and Japanese Encephalitis are recommended. Proof of yellow fever vaccination is required if you are travelling from a yellow fever endemic area. Obtain travel insurance to cover theft and medical expenses. Accommodation in Jakarta is a delightful selection of 5-star hotels, budget apartments, backpacker hostels, holiday inns and guest houses. Downtown Jakarta offers a flashy quilt of high rise hotels and executive suites overlooking the heaving cityscape. Expect gorgeous Indonesian décor and exceptional facilities such as azure swimming pools, award-winning restaurants and landscaped gardens. Staying in downtown Jakarta gives you easy access to the heart of the city. For something low-key, a number of budget and mid-range accommodation options are available. These range from hostels and budget inns to self-catering apartments and guest houses. These establishments typically offer comfortable accommodation and facilities such as laundry, air-conditioning and car hire. These can be found scattered throughout the city. Jakarta is an enormous city with a sprawling transportation system. There are several options for getting around the city that are safe and reliable. Taxis are the most convenient way to get around the city. They are available in abundance and can be flagged on the street or found lingering around malls, hotels and high traffic areas. Taxis should be clearly marked. Ojeks (moto taxis) are a popular way to get around thanks to their nippy size. Although you will have to haggle with drivers and may find yourself white knuckled and covered in grime at the end of your trip, they are an exciting and convenient option for exploring the city and getting around. The Transjakarta is the public bus system that operates 24-hours a day and weaves through some of the most popular sites and landmarks. Tickets can be purchased at ticket booths at the stations. Bajajs are rattling orange and blue two-seater taxis that operate over short distances within the city. You will have to haggle with drivers, but they are considerably cheaper than taxis and a fun way to get around and see the city. Although car rental agencies can be found throughout the city, self-driving is not recommended.